Follow the instructions on the website and chose which trip you would like to sign your youth up for. Woods Youth are traveling on FOUR trips this summer. We have two trips for both high school and middle school; a mission trip and youth conference. For High School you can experience the 35th annual WoodsWork mission trip, as we serve the people of Salem County, NJ. High Schoolers can also attend the national youth conference at Triennium. This conference is offered every three years at Purdue for all Presbyterians to find a close and meaningful relationship with God while building strong faith tools. 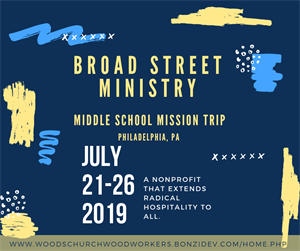 If you are a Middle Schooler, we also have an amazing mission trip that travels to Broad Street Ministry in Philadelphia, PA. Middle Schools can also attend the annual youth conference at Massanetta Youth Conference. This conference is tailored to middle schoolers and their high energy and love for God. Join us this summer as we find God in the most mysterious places and build strong relationships with our friends through Christ. 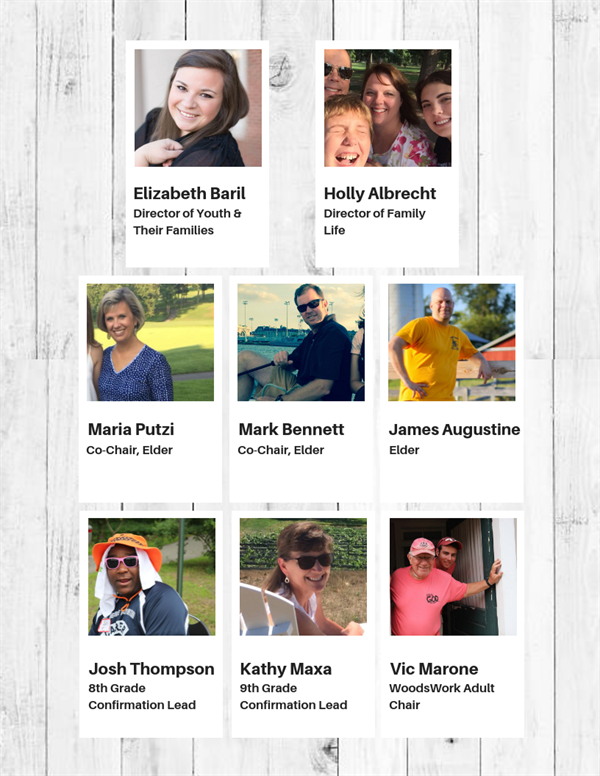 To find out more information on these class, check out our pages on the left pannel.